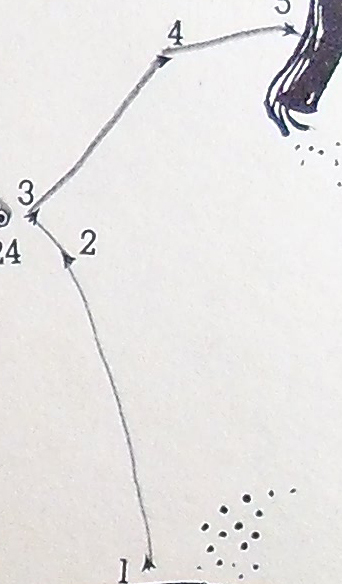 » Vintage Dot-to-Dot Collection – Where is the bird’s nest? and 11 other arrow dot to dot pictures. 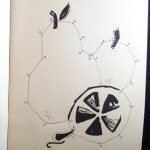 Home » Vintage Dot-to-Dot Collection » Vintage Dot-to-Dot Collection – Where is the bird’s nest? and 11 other arrow dot to dot pictures. 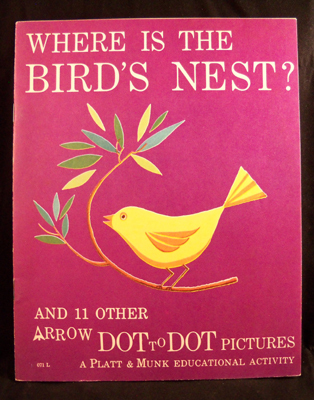 Vintage Dot-to-Dot Collection – Where is the bird’s nest? and 11 other arrow dot to dot pictures. 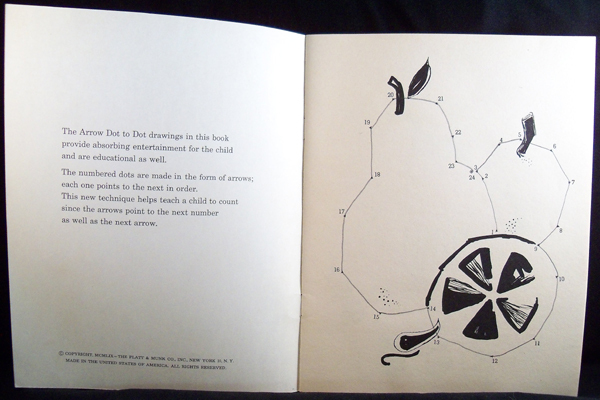 In 1959, Platt & Munk published a set of 12 Dot-to-Dot books. This was not an ordinary dot-to-dot. Instead of a “dot” the author, David B. Dreiman, used an arrow. There is still a number with the arrow, but instead of looking around for the next number/dot you just follow the way the arrow points. “The new technique helps teach a child to count since the arrows point to the next number”. It may make it easier for younger children to learn their numbers if they are sure they have the correct number in sequence. As with many of the older dot-to-dot puzzles, you can see the majority of the final image before you start solving the puzzle. Did you know that once a dot-to-dot puzzle is connected to its final image it basically turns into a coloring book outline? So the dot-to-dot books can serve as two functions, puzzle solving and coloring. This entry was posted in Vintage Dot-to-Dot Collection. Bookmark the permalink.